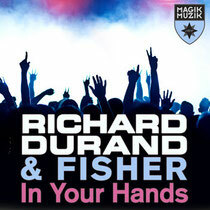 After the success of his ‘In Search Of Sunrise: Dubai’ compilation and then subsequent single, ‘Blast’, Richard Durand has joined production forces with US songstress Fisher for his latest release, ‘In Your Hands’. With a string of trance vocal credits to her name (including work with Thrillseekers, Moonbeam, Filo & Peri and Sean Tyas), US chanteuse Fisher should not be in need of an introduction. On ‘In Your Hands’ her voice and her lyrics wrap around Richard’s production, creating all the properties necessary for a possible big room track. Down in its engine room, the track is an assembled gathering of steamrolling beats, distortedly provocative sub-riffs, effective percussion and super-bass brio. 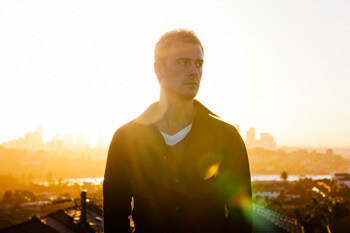 From beat-one of Durand’s Original Mix, the Dutchman cranks up the floor tension, with an intro that’s tech-tonic trance. Reaping FX, club-whipping distortion and the moody thrall of Fisher’s verse start the fire, while the pitch wheel pours on the petrol. With ‘In Your Hands’s taxi ride to the darkly atmospheric side seemingly a certainty, Richard pulls off a switcheroo, allowing a few synth shafts and then the full rush of pads, chords and Fisher’s chorus to lift the track up. It’s out now on Magik Muzik / Black Hole Recordings.